A ribbiting game of catch and release! This fabric Ball set is a true classic when it comes to outdoor toys for toddlers. Easy to bring anywhere. From the camping to the backyard to the beach... this catch N' scratch Playset is sure to be a hit at your annual family BBQ. 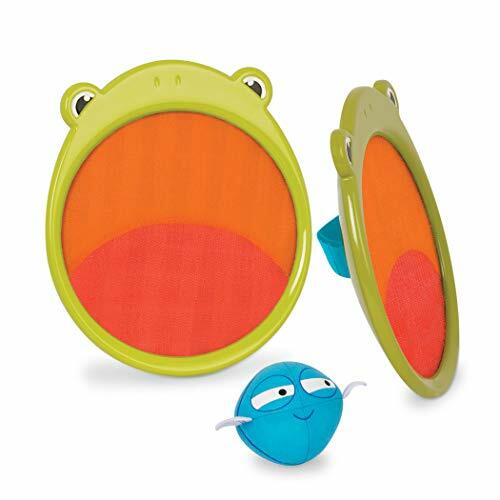 3-Piece set: This playset comes with 2 easy-grip fabric paddles and 1 critter baby ball toy. Perfect for a game of toss and catch with your little one. Adjustable grip: frog paddle stays in place with the adjustable strap at the back, Perfect for tiny hands. Lightweight baby ball is easy to toss and catch. 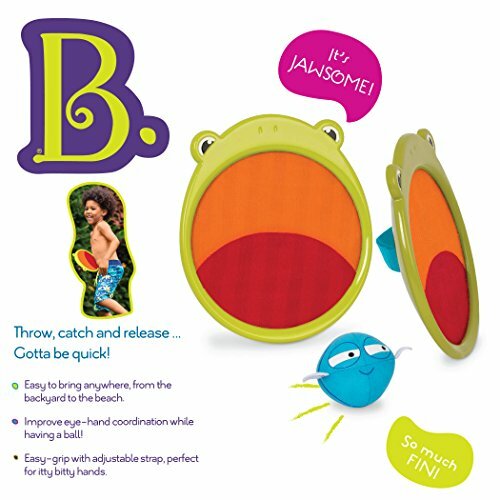 Developmental toy: improve eye-hand coordination while having a ball! Sturdy & worry-free: this kids outdoor Playset is safe and sturdy. 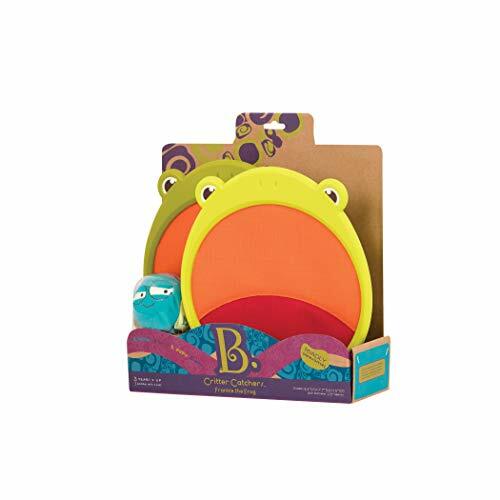 B toys are phthalates and BPA-free. Dimensions: critter catchers' paddles are 8.5"(H) x 7.7"(W) x 1.6"(D); mosquito ball is 3" in diameter. Age limit: this fabric paddle ball toy is recommended for kids 3 years and up. B. Powerful... we.Org receives a portion of sales from every B. Toy purchased.